Weighty Matters: Holiday Strategy: Don't save your calories for dinner! Holiday Strategy: Don't save your calories for dinner! 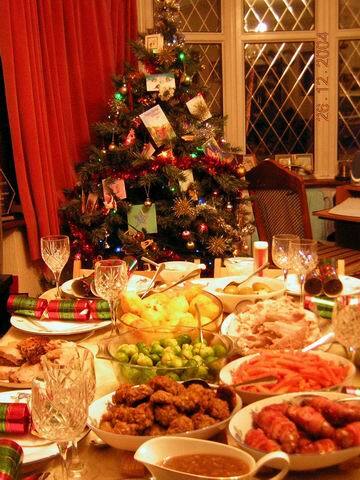 One of the most common holiday strategies is to save up calories for dinner. It's also one of the least wise. So first the thinking behind the budgeting. People believe that by saving their daytime calories by skipping meals or eating light then they'll have more caloric room for their indulgent dinners. Of course as a consequence they'll also show up at their dinners hungry. You see hunger affects choice. Think about the last time you hit the supermarket hungry. You almost certainly bought different foods. Sit down to a meal hungry and now you're shopping from your plate, and in the case of a festive meal, from an table full of dietary extravagances. Chance are your portions will be larger, you might well have seconds and you won't skimp on dessert. But what if you weren't particularly hungry when you sat down? Well then you'd be able to thoughtfully navigate the table. You likely wouldn't need or want seconds and you'd have much greater control over how much dessert you ultimately had. I'd bet not showing up hungry would likely save you a minimum of 1,500 calories and in order to not show up hungry chances are that would only cost you on the order of 400-800 calories of ensuring you snack between meals and don't skimp on your breakfast and lunch portions. Seems to me spending 800 calories to save 1,500 calories seems like a much wiser plan.